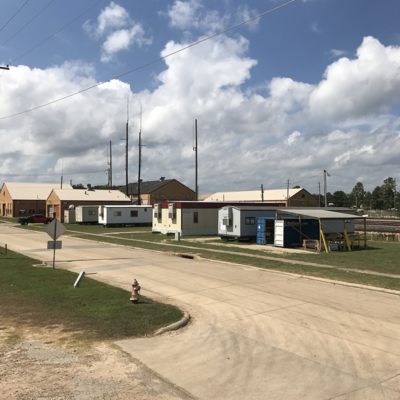 Texarkana, AR-TX, September 19, 2017– The TexAmericas Center Central Campus is close to reaching full occupancy of available building and site space for lease; this prompted the Chief Economic Development Officer and Executive Vice President, Eric Voyles, to create a “Construction Trailer Park” in 2016 from an area of unutilized ground on the campus. The new trailer park site offers a total of fifteen 12ft pads on Arkansas Ave. The site provides tenants a move-in ready option for locating office trailers to the footprint and has continued to be a great option for businesses doing contract work for the Red River Army Depot. 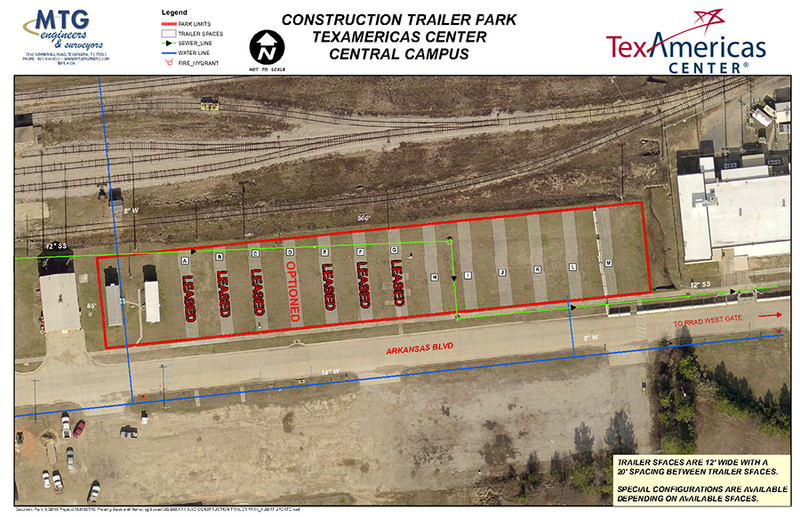 The TexAmericas Center Board of Directors approved two new leases at their August meeting for businesses joining the trailer park: Tigua Construction Services and Ultimate Concrete, LLC. 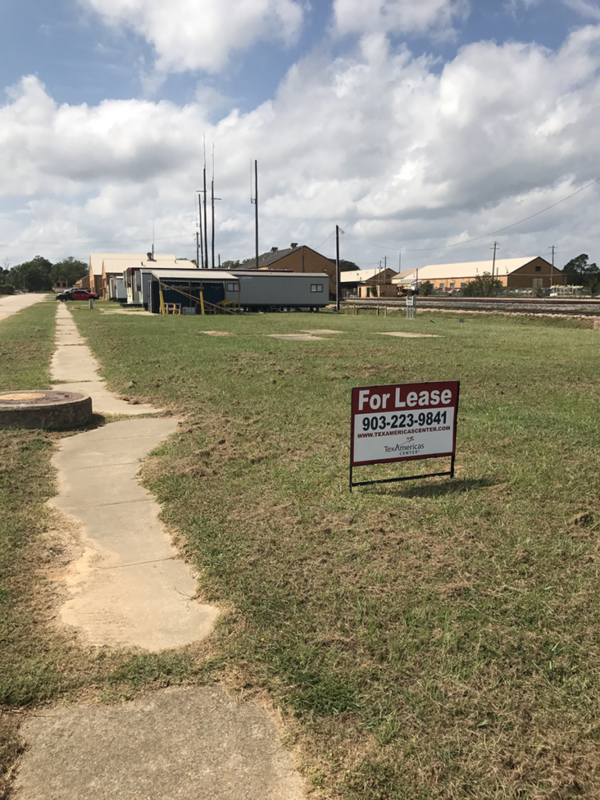 The new tenants are leasing a total of three (3) trailer pads for office operations to supplement their contract work with the Red River Army Depot. Tigua Construction Services and Ultimate Concrete began operations at the park earlier this month and are headquartered in El Paso, TX. Other tenants of the trailer park include: Bristol General Contractors, LLC, Four Thirteen, INC., and Premier Fire & Security, INC. Located in the Texarkana metropolitan area, TexAmericas Center owns and operates one of the largest mixed use industrial parks in the United States. With roughly 12,000 development ready acres of land and about 3 million square feet of commercial and industrial product, TexAmericas Center services the four states (Arkansas, Louisiana, Oklahoma, and Texas) markets. Texas is the #1 state for business in the United States of America because of its regulatory environment, tax policies, and workforce quality– along with exceptional educational resources, infrastructure, and quality of living. Founded in 1997, TexAmericas Center has the operating capabilities of a municipality but functions more like a traditional real estate development company, offering customized real estate solutions. In addition to controlling our own zoning and permitting processes and sustaining the life cycle of public infrastructure on the complex, TAC has the capability to lease, build-to-suit, or facilitate Greenfield owner-constructed projects in a timely and efficient manner. At TAC, we streamline leasing and manage government development processes all through a single point of contact. Our customers benefit from faster market entry by resolving zoning, permitting, inspection, and state and local incentive programs solely through our organization. Additionally, the Texas Economic Development Council (TEDC) designated a 101 acre site on the TexAmericas Center Central Campus as the first S.T.A.R. Site in Texas (Sites That Are Ready for construction to begin), advancing speed to market for our customers. Tenants of TexAmericas Center tend to be private business owners and corporations seeking flexible and cost effective space solutions.